I've been on a pretty productive knitting kick lately. In honour of "Finishing Friday" - here are photos of the latest projects I've just finished up. 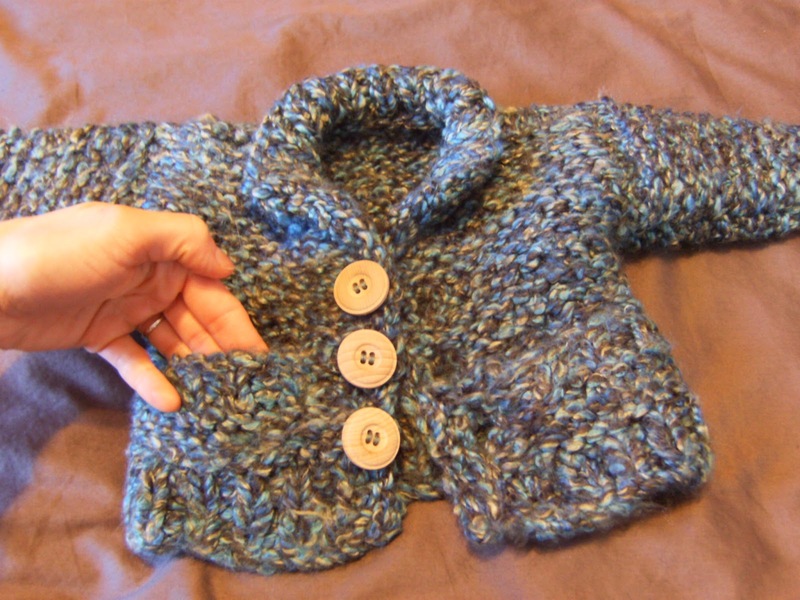 Lion Yarn's Hayride Cardigan, with tiny pockets! 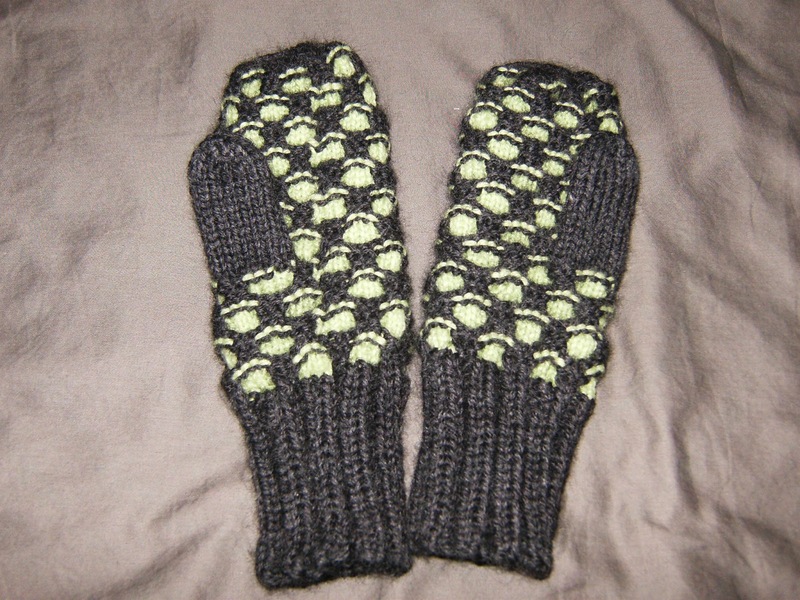 This was lovely yarn and a cute little pattern but I'm not too satisfied with how they came together. The yarn colour changes obscures the pattern details, so next time I'd opt for a solid colour for this one. It's still very cute and cuddly and I knit the whole thing in a week's worth of bus rides and lunch breaks. Of course then it took me quite a while longer to put the pieces together and block and wash it! I made this one for my dear friend's new baby boy, Amr. I made these for my Mom to match two of her coats. She helped me pick out the colours, but since I took about a year to get to these, she totally forgot they were coming! Since then she's dyed one of her coats (I'm not the only one who's DIY!) but thankfully it still matches. I'll be sending these warm woollens her way this weekend. Congrats on finishing friday! I like that idea. That is my #1 complaint against multicoloured yarn though... it hides all the nice details sometimes.